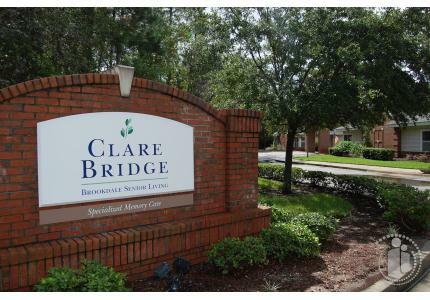 At Clare Bridge of Jacksonville, we know that memory losses due to Alzheimer’s disease and other forms of dementia are progressive and residents' needs are continually changing. We provide balance in our residents' capabilities, personalities and preferences to create daily routines that enhance their spirits and increase their sense of purpose. We believe the amount of satisfaction our residents receive from the tasks that fill their days goes a long way to maintaining their sense of purpose and overall satisfaction with life. An integral part of this is our promise to encourage each resident to find Daily Moments of Success. To help our residents achieve these moments, our associates receive the tools and training needed in such key areas as specialized dining and the ongoing monitoring of healthcare and behavioral needs, to name a few. We provide Alzheimer’s and dementia care residents with the lifestyle, housing and services they need in comfortable surroundings combined with the amenities, programs and care they need to help stimulate recognition, recall and wellness in a safe environment. Through years of caring for individuals with dementia we have learned how to create optimal surroundings and approaches to care. Familiar environments that our residents have enjoyed throughout their lives are recreated to help them feel reassured and comfortable. Our Alzheimer’s and dementia care programs are built to embrace, not restrict our residents' desire to wander and to provide a sense of belonging.